Gain a solid grounding across the discipline with a focus on biological, clinical, cognitive, health and social psychology. 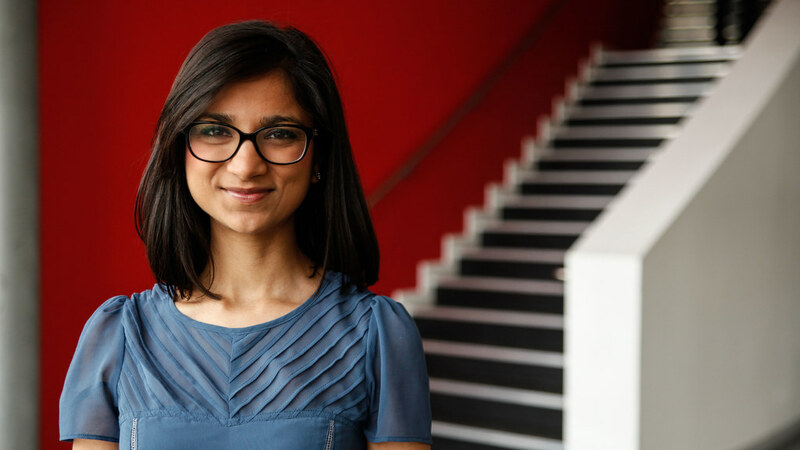 This course offers the rigour of a science degree, with insights into every aspect of psychology recognised by the British Psychological Society. In Year 1, you will gain an understanding of basic concepts, methods and theories in psychology. In Year 2, you will cover the core areas of psychology and be introduced to research methods and project work. You will be trained in experimental methods, questionnaire research and qualitative analysis. Optional units enable you to study topics that are not always found in psychology degrees. These include health psychology and clinical psychopathology, as well as units from other subjects. In your final year, you’ll complete a research project and select optional units relating to the current research interests of academic staff. The undergraduate master’s (MSci) equips you with the practical and analytical skills to conduct independent research. This can focus on an area that interests you. This advanced qualification puts you ahead of other holders of bachelors’ degrees in the job market. You’ll learn from academics with expertise in clinical, health, social, developmental, and cognitive psychology. Their international collaborations and research activities feed into teaching and contribute to your learning experience. The Department of Psychology is located in a £30 million building. You’ll use the dedicated space for your seminars, group meetings and computer work. A psychology degree prepares you for clinical, counselling, health, educational, market research and occupational roles. It is also valued in communications, management, police work and social research careers. Much professional work in psychology requires further specialist training. Over half of our graduates go on to specialist graduate training in psychology. 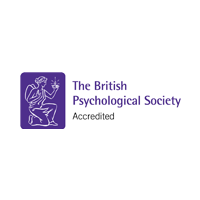 This course is accredited by and confers eligibility for Graduate Basis for Chartered Membership of the British Psychological Society. Your previous academic study is also important. For example, if you have taken GCSEs we prefer applicants with a strong set (such as grade A*, 8 or 9 in at least five relevant GCSEs or grade A or 7 in the majority of your GCSEs). We strongly prefer applicants who can demonstrate a solid grounding in mathematics (or statistics), such as those with GCSE grade A or 7 in Mathematics. We prefer applicants with entry qualifications that demonstrate a high level of study in both essay-based and numerical or analytical subjects. For example, if you are studying qualifications with a narrow range of subjects (such as A levels) we prefer both a numerical or analytical subject (like Biology) and a humanities or social science subject (like Sociology). If you are taking a qualification which includes a wider range of subjects (such as the International Baccalaureate Diploma), it is likely you have studied the desired breadth of subjects. A*AA in 3 A levels. Your offer can include Mathematics or Further Mathematics but not both. If you are taking a GCE A level in a science subject, you will need to pass any separate science practical endorsement. If you receive an offer for this course and are studying one of these qualifications you will be given both the typical and alternative offer. Your offer can include A level Mathematics or Further Mathematics but not both (unless you study four subjects - see our guide on alternative offers). If you are taking a GCE A level in a science subject, you will need to pass any separate science practical endorsement. 36 points overall and 7, 6, 6 in three Higher Level subjects. D*DD in the BTEC Level 3 National Extended Diploma (RQF) in a relevant subject area. We are able to consider the above BTEC qualifications in a relevant subject area. Where possible, we are looking for your BTEC qualification to include units in both Natural Sciences and Social Sciences. If your BTEC qualification is humanities-focused, we would typically only be able to consider your application if you have strong existing GCSE performance in core science subjects (Biology, Chemistry, Physics), or equivalent qualifications. If your BTEC qualification is science-focused, we would typically only be able to consider your application if you have strong existing GCSE performance in core essay-based and humanities subjects, or equivalent qualifications. D*D*D* in a BTEC Level 3 Extended Diploma (QCF) in a relevant subject area. D2, D3, D3 in three principle subjects. If you receive an offer for this course and are studying one of these qualifications you will be given both the typical and alternative offer. Your offer can include Mathematics or Further Mathematics as a principal subject but not both (unless you study four subjects - see our guide on alternative offers). A pass in the Access to HE Diploma, with at least 39 credits achieved at Distinction. We are able to consider the Access to HE Diploma for entry. We are looking for you to demonstrate a high academic standard, and provide evidence of a strong interest in Psychology demonstrated by extra-curricular activity, research or work experience. We are also looking for your Access to HE Diploma qualification to include units in relevant subject areas, such as Social Sciences and Natural Sciences. You must have achieved a B or 6 in GCSE Mathematics or have completed at least 6 units of Level 3 Maths awarded at Pass or higher, plus a B or 6 in GCSE English. However, please be aware the the strongest applicants have an A or 7 in GCSE Mathematics. If you do not have these grades, please get in contact to discuss this with us before applying. If your Access to HE Diploma qualification is in Humanities or Social Science, we are typically only be able to consider your application if you have strong existing GCSE performance in core science subjects (Biology, Chemistry, Physics), or equivalent qualifications. You may be asked to submit a relevant piece of marked coursework for consideration. Pass units worth 120 credits, including a minimum of a Pass 2 with 80% in a relevant Level 2 unit. Typically, we would be looking for you to have studied units worth at least 120 credits, including at least 30 credits at Level 2. We would also typically be looking for applicants to have achieved a grade A in GCSE English and a grade A in GCSE Mathematics. This information is a guide and we consider students applying with Open University Credits on a case-by-case basis. We will consider your application carefully and take note of any previous qualifications or relevant work experience. We may be able to consider alternative units to those listed. Please contact us to discuss your profile. GCSE Mathematics grade B or 6 plus GCSE English grade B or 6 (or equivalent from English language category A). We have a preference for candidates with strong previous academic achievement, for example, grade A or 7 in all relevant GCSEs, particularly Mathematics. Average of 85% across 4 subjects. 85% overall with 8.5 in Mathematics (5 periods) or a science or humanities subject (4 periods). 16 overall with 16, 15 in a mathematics or science subject and in either Economics and Social Sciences or History and Geography. 15 overall with 16, 15 in a mathematics or science subject and in either Economics and Social Sciences or History and Geography. 5*, 5, 5 in three elective subjects plus 5 in Core Mathematics. H1, H1, H1, H2, H2, H3 in 6 Irish Leaving Certificates. 19 in the Apolytirion plus A*A in two A levels . CGPA of 85% with 85% in a mathematics, science or social subject from the final year. 1.3 overall with 14 in Mathematics or a science subject or social sciences subject. The required grade in Mathematics or a science or social science subject must be achieved in your final examinations if you take it. If you do not take it in your final examinations, you will need an average grade across 4 semesters in it. Approximately £300 payable in your second year. Approximately £50 payable before the start of your third year.